We provide an architectural service predominantly on residential projects and some small commercial projects for extensions alterations and new builds. We tackle anything from a simple new entrance porch, new garage up to new build developments and bespoke new houses. We also have experience of working in conservation areas and listed buildings. Following an initial meeting and discussions about your project to ascertain the brief, we will issue you with a breakdown of the quote into key stages and description of the service to be provided as required to suit your project. We believe in working closely with our clients to ensure they are satisfied with the service received, understand the stages and requirements throughout and provide a friendly professional service. 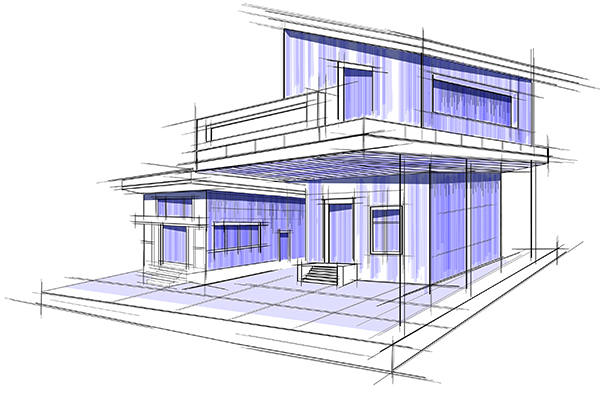 Most of our work is produced in 2d using the latest AutoCAD draughting software and drawing packages. Most projects will require a level of surveying to produce drawings of the existing site and/or building. For most extensions and alterations, we do these ourselves, however on larger buildings, or more complicated structures and sites we look to tender this out to a surveying company. This will be discussed at the initial meeting. Once we have the survey information we can produce the scheme proposals to meet the brief, in some cases clients have very clear ideas on their requirements, others are looking for more creative ideas, whichever we can help. Once the design has been agreed and where required we will submit the planning application on behalf of our clients acting as agents. We complete the necessary application forms, submit and follow this through the process. Please note however the planning process is subjective, the site history and constraints are not always known, whilst during the design development and feasibility stage we will discuss potential planning issues a positive outcome cannot be guaranteed. We do however have a very good success rate of over 95%. 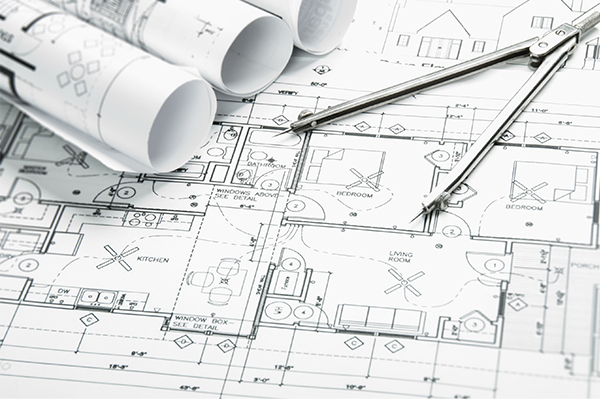 Upon receipt of a relevant planning approval (if required) the next stage is the preparation of detail-working drawings to be used for contractors’ quotes, Construction guide, and Building regulations full plans approval. These drawings are larger scale drawings full dimensioned and annotated. At this stage the services of structural engineers and other consultants such as party wall surveyors & energy consultants may need to be included, we have a number of consultants we use on a regular basis for these services. 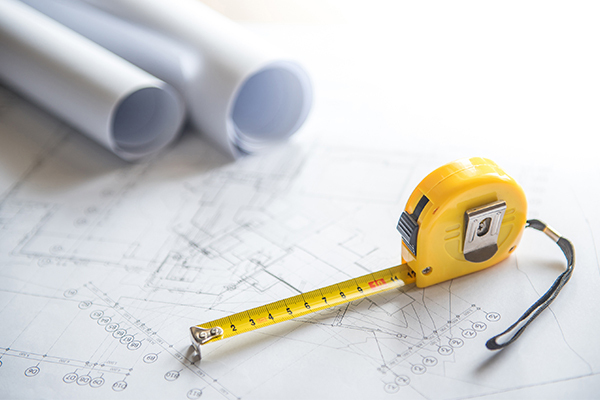 Once the working drawings have been completed to a sufficient level we submit the building regulations applications on behalf of our clients to ensure the project conforms to current standards and regulations. WE use either the local authority building control departments or private companies offering the same service. The building regulations covers items such as Fire safety, structure, energy performance, access and circulation for all, weather tightness, electrics, security amongst many others. For most projects once you have a conditional approval notice this concludes our involvement and works on site can start. Further to those services offered above, in some cases clients require a level of aftercare this can all be discussed and agreed on an individual basis. 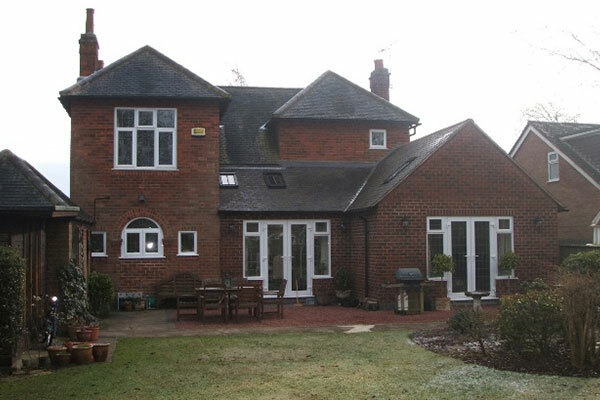 Planning an extension to your house? For a professional surveying and design service.